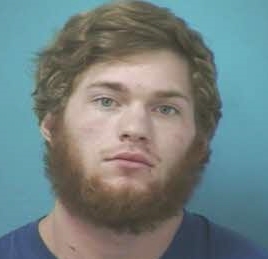 Dalton Kelley, 21, of Thompson’s Station, is free on bond following his arrest last night for Aggravated Kidnapping and Aggravated Assault. The victim reported that Kelley forced her into his car Sunday night, at a Franklin fitness center, and repeatedly assaulted her while driving her around, before finally letting her go. Kelley and the victim had been involved in a past relationship. Officers observed injuries on the victim consistent with what she reported, and obtained felony warrants for Kelley’s arrest. Kelley surrendered at the Williamson County Sheriff’s Office last night. He was later released on the $20,000 bond set by the Magistrate. Kelley, charged with Aggravated Kidnapping and Aggravated Assault, is due in court June 23 at 1:00pm. Domestic violence is a crime – against a person, against a family, and against our community. For help or shelter information, call Franklin Police (615) 794-2513, or Bridges Domestic Violence Center: (615) 599-5777. Click here for additional information on help.